The enclosed statement regarding customers, suppliers and other business partners pertains to how Suitsupply (‘the Company”) respects these groups’ concerns about privacy. This privacy statement applies to all entities of Suitsupply and is maintained by Suitsupply Head office Netherlands, H.J.E. Wenckebachweg 210, 1096 AS Amsterdam. This privacy statement does not address applicants and employees. This privacy statement can change from time to time and the most current statement is regularly published on the Suitsupply website. If Suitsupply processes major changes to this policy the customer, supplier or business partner will be kept informed by a notification on our website. The purpose of this privacy statement is to inform individuals on how the Company securely collects and processes data so that privacy is maintained. Suitsupply respects and protects privacy in accordance with the European General Data Protection Regulation (GDPR) and other applicable laws. Further explanation is given here within on what kinds of personal data Suitsupply processes, the purpose of processing and how the Company may share personal data with third parties. This list is not exhaustive and Suitsupply may collect and process data that is useful for its services. Not all data above is collected and processed for every customer, supplier and business partners. Often the data is limited to only a few of the above details. The data collected is dependent upon the purpose of processing. The Company does not collect and process sensitive data such as ethnic and racial origins, political opinions, religious beliefs, trade union memberships, physical or mental health conditions, genetic or biometric details or sexual preferences. Suitsupply may use sensitive data such as bank account number. Also, Suitsupply may combine received data points in order to develop a profile useful in sending personalized offers and advertisements. Suitsupply is aware of the sensitivity and impact on individual privacy and has taken appropriate actions to handle all data carefully. How does Suitsupply collect data? Suitsupply may collect data for the use of products and services. This data may be directly collected or from individuals or from his/her devices. For example, the Company may collect data from or about the individual through the Company’s website, social media pages, customer service email messages upon sign up for Company newsletters and personalized offers, upon purchase of Suitsupply product or when individuals register for an account. When individuals purchase a product from Suitsupply, the Company may collect his/her registration information, status of order and purchase history. Suitsupply may collect information about the individual from other sources such as public databases, third party processors or social media. Suitsupply collects and processes personal data sourced directly from the customer, supplier or other business partners. These parties have made the choice to provide this data to Suitsupply. For example, when parties provide email addresses in order to receive a digital receipt or to conduct business with Suitsupply. Besides the above, Suitsupply may collect personal data from these groups, obtained via third parties, as part of the service the Company provides or in connection with legal requirements that are applicable to the Company. How does Suitsupply use this data? Suitsupply mainly uses this personal data based upon a contractual obligation, legal obligation, consent or legitimate interest. Suitsupply will process data that is necessary for the performance of a contract with suppliers and other business partners. Suitsupply also processes data under the lawful basis of a legal obligation. Based upon legal obligation, the Company may store specific financial data for a period of time to meet requirements set by national tax authorities. Suitsupply may also process your data for the purpose of a legitimate business interest such as to strengthen our relationship with these parties. The Company may provide these parties with communications regarding its services that it thinks might interest the parties. The Company takes into consideration the balance between privacy impacts and the Company’s legitimate business interest. Suitsupply may process personal data when consented to do so. For example, the Company may lawfully ask these parties for consent to set up a profile in order to send personalized offers. The Company also asks permission to place a cookie on devices in order for the Company to set up profiles and place ads. When Suitsupply processes data based on these legal grounds, these parties have the right to object, restrict, erase, access and ask data portability. Why does Suitsupply process this data? When an individual wants to get in contact with Suitsupply, the Company will use this data to reply on the request or question. Suitsupply may process your name, email address and correspondence with Suitsupply. Suitsupply processes this data based on the individuals consent when he/she provided the data. Suitsupply asks to fill in personal information when an individual wants to complete an order and/or registers for an account. Some of this information is required: title, first name, last name, address, email, password. The information required for a purchase is based on a contractual obligation and to inform the individual about the status of the order. In order to complete a purchase Suitsupply may use data for processing payment, delivery, status updates and other communication such as, notification of the delivery status or sending information. Information Suitsupply may process is name, gender, contact details, email address, purchase history, bank account details. Personal information and order history are saved on a secure server. For the legitimate interest to develop and improve products and services, Suitsupply may collect and process personal data. Based on analysis of customers’ behavior Suitsupply can modify its products and services. This customer behavior is based on visitor statistics and how often visitors have clicked on website pages and the items purchased. Suitsupply may use third parties such as google analytics to analyze the visitor behavior in order to improve its services. Suitsupply may share personal data with third parties who provide Suitsupply with web hosting, analysis, payments and other similar services. The personal data Suitsupply may use are contact details, email address, payment information, correspondence and technical data from the individuals devices such as IP-address, Browser ID and the pages the individual visited on the Suitsupply website. Suitsupply shall comply with laws and regulations and therefore personal data could be required to comply, for example for legal obligations such as tax purposes. Personal data Suitsupply may process are name and contact details. When a customer orders at or supplier or business partner works with Suitsupply, the Company may process personal data to assess the identity and screening based on a contractual obligation. Suitsupply may process contact details, name, address, email address and bank account information. Suitsupply may process data when a customer purchases items on the website. The data Suitsupply processes is based on the transaction such as name, shipping information, bank account details, consent for personalized offers and terms and conditions. Suitsupply works with suppliers and other business partners wherefore the Company processes data for invoices, payment information and delivery information. Suitsupply processes data such as name, address, email address, telephone number, order history and bank account number. Suitsupply processes this data based on a performance of a contract. Suitsupply may send personalized offers if the individual has given consent. 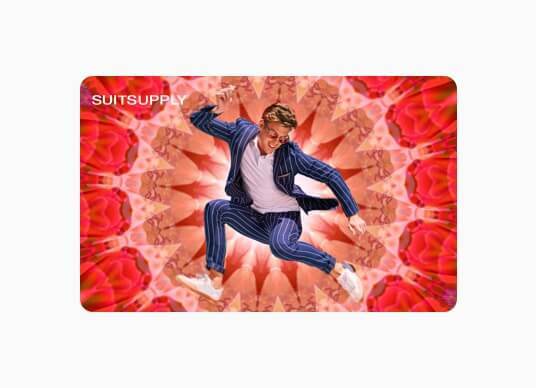 An individual can sign up for the Suitsupply newsletter and personalized offers by submitting an e-mail address in the newsletter and personalized offer module found at the bottom of any page on this site or in the store. Suitsupply does not send newsletters and personalized offers to customers or registered visitors unless the individual has given consent for the newsletter and personalized offers specifically. All newsletters and personalized offers contain an opt-out link in case the individual wishes to unsubscribe from receiving further newsletters and personalized offers at any time. Personalized offers are send to an email address which could contain advertisements that might interest the individual based on purchase history and online behavior such as an abandoned shopping cart. Personal data Suitsupply process for sending out personalized offers are data the individuals shared actively with Suitsupply such as name, email address and purchase history and data Suitsupply obtained based on the individuals interaction with the website. Suitsupply may use IP address and Browser ID to track your behavior on our website if you have given consent for accepting cookies. To whom does Suitsupply share personal data? 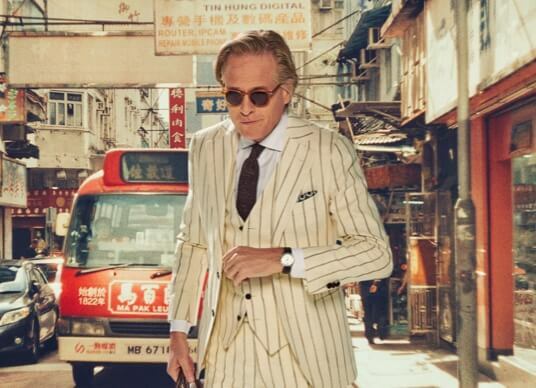 Suitsupply may process data to other companies outside of the European Economic Area. If Suitsupply processes data with a country that does not ensure an adequate level of protection of data, Suitsupply ensures appropriate safeguards are in place such as standard contractual clauses from the European Commission or the US Privacy Shield. Suitsupply has data processing agreements with third parties to ensure that data is applied with the same level of security and confidentiality as by Suitsupply. Suitsupply has data processing agreements with third parties which defines the rights and obligations regarding GDPR. Suitsupply decides for which purposes the third party can process data and the third party is obliged to comply with these instructions from Suitsupply. Suitsupply shall store data no longer than necessary. Suitsupply will only store the data in line with legal retention periods and based on lawfulness of processing. 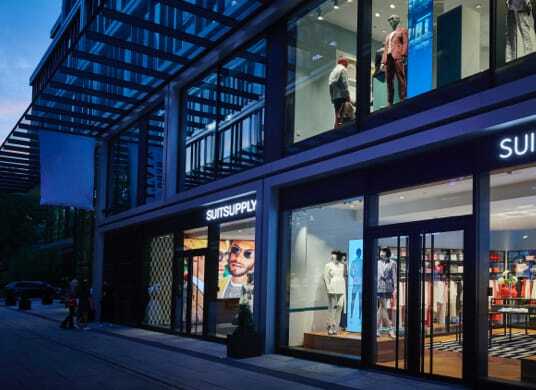 Suitsupply may store personal data to fulfil the legal grounds of a contractual obligation, legal obligation and to prepare, defense or exercise legal claims and in general where Suitsupply has a legitimate interest to doing so. Suitsupply may also store data which is given through consent. Under the age of sixteen (16) Suitsupply requests to make a reasonable effort to verify that a parent or guardian has provided the appropriate consent. The individual has the ability to request access, restriction, portability, erasure, rectification and file a complaint by contacting service@suitsupply.com. If the individual would like to file a complaint, the Company asks that the employee sends an email to service@suitsupply.com. Please note that you can file a complaint at the Dutch Authority. -	Right to access the personal data Suitsupply holds at any time. -	Right to ask Suitsupply to correct his or her personal data that is incorrect and to complete incomplete information Suitsupply holds about he or she. -	Right to be forgotten and to object and ask Suitsupply to delete personal data if Suitsupply has no legal or regulatory obligation to keep this data. -	Right to ask Suitsupply to provide the employee with a copy of his/her personal data that Suitsupply holds. -	Right to file a complaint with Suitsupply or with the Supervisory Authority. Suitsupply shall communicate rectification or erasure of your personal data with third parties unless it proves impossible or involve disproportionate effort. Suitsupply shall inform the individual of the third parties should this matter occur. When the individual exercises a request please elaborate on the personal data Suitsupply may process about you by giving Suitsupply more background of the personal data. For restriction specify the request to a specific department, process, team, incident or service. Try to include timeframes, names, dates, type of processing and documents to enable Suitsupply to process the request as soon as possible. Suitsupply will respond to the request within one month of receipt. 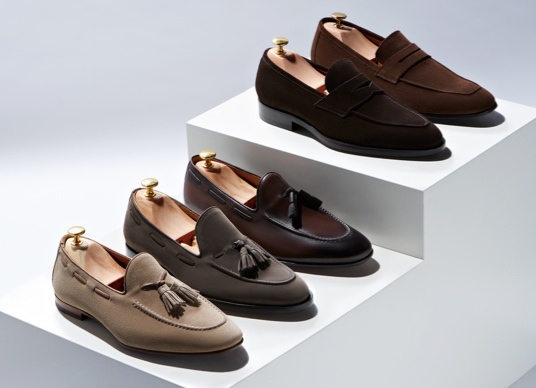 Suitsupply may send personalized offers based on account and/or website behavior. Suitsupply only send out personalized offers if its consented to receive these offers. Suitsupply has taken appropriate and reasonable organizational and technical security measures in order to ensure the safety of your personal data in its systems. Suitsupply shall not process data to third parties unless the Company has a legal ground to do so, for example consent is given or if it is required by law. Additionally, employees at Suitsupply are trained to ensure they handle all personal data with care and strict confidentiality. For staff, personnel access rights have been specified to serve the applicable legitimate purposes required for the individual to perform his or her duties. Suitsupply is not responsible for collection and processing of other organizations. This Privacy statement does not address personal data of any third party operating that is linked to Suitsupply.